Chris Thompson started karate in 1969 with the style Wado Ryu under Tatsuo Suzuki, who brought Wado to Europe directly from Japan. He has been a national champion and represented England on many occasions. 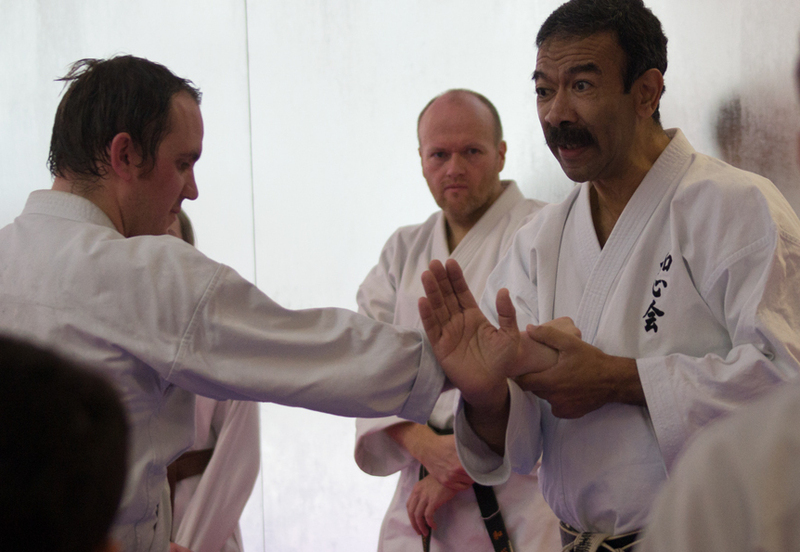 The Washinkai Karate organisation, established in the UK in 1977 by Sensei Chris Thompson 8th Dan, has been extremely successful enabling students to learn authentic karate with its origins in Japan. The group has won numerous competitions in Europe and has clubs in Ireland, Norway and Spain. Washinkai is recognised by the English Karate Federation, the British Karate Federation, the European Karate Federation and the World Karate Federation, as well as the International Olympic Committee (IOC). Therefore anybody who has received a black belt (Dan) grading from Sensei Chris Thompson has total recognition with all of these governing bodies. Sensei Chris Thompson was the Technical Director for the English Karate Governing Body, which immediately preceded the English Karate Federation. He is now the Technical Director for the English Karate Federation. The Washinkai group in Spain was established over 10 years’ ago in Javea and is headed by Geovanny Salazar Sanchez and Sarah Lakin. The group has become the largest in the Valencia region. You can view a detailed profile about Sensei Chris Thompson by visiting this page on the official UK Washinkai website.